This video delves into Brain Waves and the Reticular Activating System that determines what one pays attention to or filters out. It’s important to understand this in order to create effective messaging strategies and sales triggers. We call them Hot Buttons. They are Activators – that is, they present something that is familiar, unusual or problematic that is relevant and important to the client. The brain is fascinating, so understanding its neurology is vital to creating effective marketing systems. This video is the eighth in the DVD series of Power Marketing Secrets and Strategy, which is available without charge at http://Powermembers.AllcastMarketing.com. 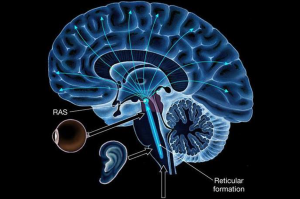 You will learn about your Reticular Activating System, or RAS. You will learn about your brain waves and how to capture the attention of your prospects RAS in a way that will make them snap out of Alpha Auto mode and into Beta Conscious mode. You will also learn how to do this using activators with things that are familiar, unusual, or problematic. In the next video, AllCast Power Marketing will show you how to find and create the right activators and put this knowledge to work for you in your business. For a limited time, membership is free. All members will have access the most valuable AllCast Power Marketing resources. These include video and audio case studies and tutorial as well as guides, strategies and howto eBook. Get Your AllCast Marketing Membership Now!